We are able to provide our clients an effective range of Molecular Sieves that is used to produce nitrogen gas by Pressure Swing Adsorption (PSA). Our chemical engineers enable us in producing Molecular Sieve that results in high purity of nitrogen. We are the leading manufacturer of Zeolite Molecular Sieves, which is efficient in absorbing gases from the environment for keeping products of cosmetic and pharmaceutical industries safe and in original conditions. The sieves are excellent in performance, owing to the good quality of material used for making them. They are available in a variety of packaging. 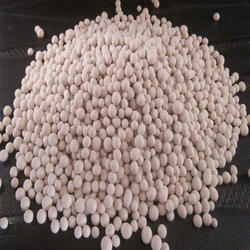 We are the prominent manufacturer of Catalyst Molecular Sieves, which are used as the catalyst carrier. They are efficient in performance and have been made using optimum quality of raw materials. We have a reliable vendor base for ensuring delivery of quality products to the customers. We are well efficient for handling bulk orders and are prompt with deliveries. We are the leading name in the industry for manufacturing good quality Chemical Molecular Sieves to our revered customer base through dedicated and committed efforts. The sieves are used for absorbing carbon dioxide, moisture and hydrogen sulphide gases from the environment. We are well equipped and can handle bulk orders efficiently owing to the large manufacturing unit. 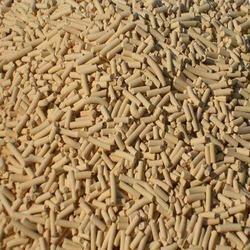 We are an eminent name when it comes to a qualitative range of Synthetic Molecular Sieves. Our Synthetic Molecular Sieves are prepared by a team of experts using optimum quality synthetic zeolite of lithium type. The Sieves that we deal in are used for separation of gases and generation of rich oxygen in chemical reactors. They are purchasable from us at the modest prices. We are one of the leading manufacturers of molecular Molecular Sieve Desiccants, which has gained wide appreciation for its quality standards. Having a diameter of four angstroms, this sieve is widely used to adsorb methanol, ethanol, sulfurated hydrogen, carbon dioxide, ethylene, propylene, and water. We are engaged in manufacturing and supplying a unique range of molecular sieve type 4A (ms-4) 4A which is manufactured using the supreme quality raw material. These molecular sieves are used in used in various research laboratories, industries, and institution. 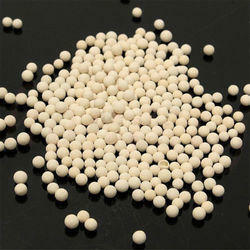 We are engaged in the formulation of the quality bulk adsorbent such as Molecular Sieves. 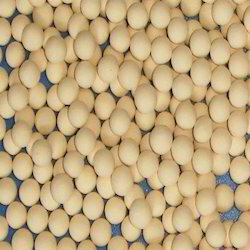 Processed using finest quality ingredients it is widely used to adsorb molecules of larger critical diameters, such as aromatics and branched-chain hydrocarbons. Our sieve finds wide application in, co-adsorption of CO2 and H2O, H2O and H2S, as the desiccant for medical and air compressor systems. Any molecule on molecular sieves 3Ao, 4Ao and 5Ao can be easily adsorbed on 13x. The molecular sieves type-13x (MS-13) comes to be the porous carbon skeletal framework that comes left behind after the pyrolysis of various polymeric precursors. Our Molecular Sieves offers excellent porous qualities that stay static after years of utility. We make use of our product to utilize very tiny molecule size compounds of the C2-C5. 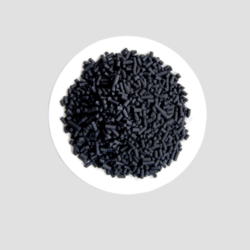 We are the leading name in the industry for manufacturing good quality Carbon Molecular Sieves to our revered customer base through dedicated and committed efforts. The sieves are used for absorbing carbon dioxide, moisture and hydrogen sulfide gases from the environment. We are well equipped and can handle bulk orders efficiently owing to the large manufacturing unit. We are one of the leading manufacturers of molecular Desiccants of quality standards. Having a diameter of four angstroms, this sieve is widely used to adsorb methanol, ethanol, sulfurated hydrogen, carbon dioxide, ethylene, propylene, and water. 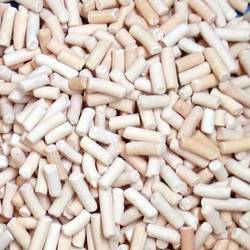 We are engaged in manufacturing and supplying of a unique range of molecular sieve type 4A (ms-4) 4A which is manufactured using the supreme quality raw material. These molecular sieves are used in used in various research laboratories, industries, and institution. 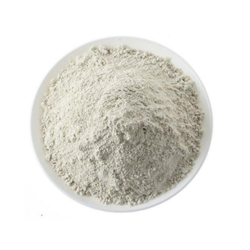 We are the leading manufacturer of Zeolite Powder, which is efficient in absorbing gases from the environment for keeping products of cosmetic and pharmaceutical industries safe and in original conditions. The powder is excellent in performance, owing to the good quality of material used for making them. They are available in a variety of packaging. 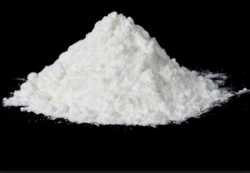 This powder is manufactured using the supreme quality raw material. It is used in used in various research laboratories, industries, and institution. 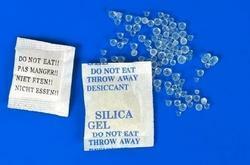 Desiccant may be used to protect product during transportation and storage against effect of Humidity and condensation. We offer the solution to avoid damage caused by moisture in the shape of humidity absorbents. 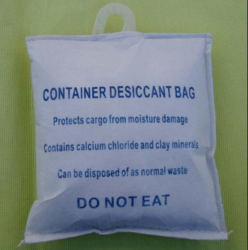 These desiccants have at their disposal a number of properties, which will prevent damage caused by moisture at every kind of transport, storage or packaging solutions. Looking for Molecular Sieves ?